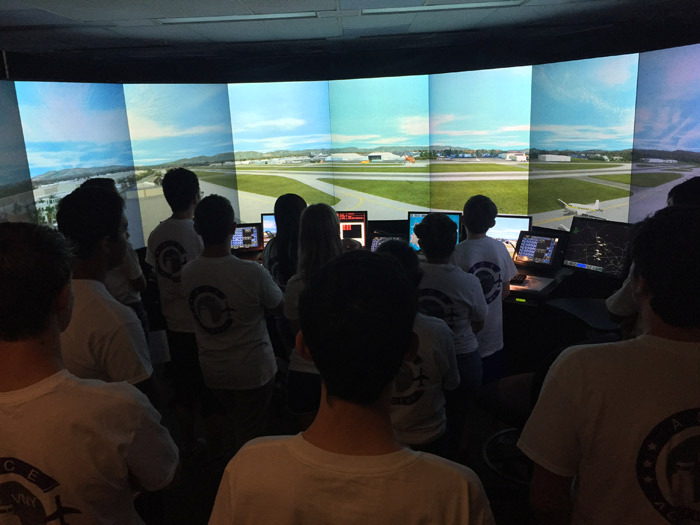 (Van Nuys, CA) Twenty middle school and eighteen high school students participated in the annual Aviation Careers Education (ACE) Academy hosted by Van Nuys Airport (VNY). “This program gave middle school and high school students a weeklong, in-depth look into the world of aviation; including career options and daily operations,” said Diana Sanchez, Van Nuys Airport’s Public and Community Relations Director. Students were given an inside look at VNY’s rich history and daily procedures of aviation professions, including airport operations, air traffic control and LA Fire Department. The students learned about the industry and career opportunities by visiting local aviation businesses, landmarks and museums. The students were selected based on their level of interest in aviation. They met experienced individuals in the field, including airline pilots, mechanics, and other aviation professionals. The students expressed their appreciation for this information-packed program; designed to expose them to the numerous career options available in aviation. “This program is amazing and I’m so grateful for it and my parents’ support in my (future) career,” said Alexis Gonzales, a student from La Reina High School. The ACE Academy’s main objective is to educate students about the aviation industry and to provide them the opportunity to explore different career options that aren’t commonly known in the aviation field. VNY’s ACE Academy applications are already available for next year’s sessions. 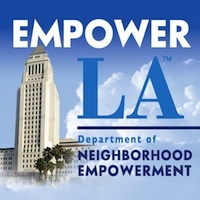 VNY is one of two airports owned and operated by Los Angeles World Airports (LAWA), a self-supporting branch of the City of Los Angeles, governed by a seven-member Board of Airport Commissioners who are appointed by the mayor and approved by the Los Angeles City Council. One of the world’s busiest general aviation airports, VNY serves as a valued San Fernando Valley resource, providing ongoing leadership in general aviation, business and community service. Dedicated to non-commercial air travel, VNY had over 230,000 operations in 2017. More than 100 businesses are located on the 730-acre airport, including four major fixed-base operators and numerous aviation service companies. Annually, the airport contributes approximately $2 billion to the Southern California economy and supports over 10,000 jobs.